The IP Showcase at IBC will feature the adoption of SMPTE ST 2110. The broadcast industry is moving into a new era, with internet protocol (IP)-based infrastructure and interfaces becoming real and practical elements of broadcast, production, as well as other professional media applications. We are now seeing a true shift toward all-IP operations, and SMPTE ST 2110 and other new standards are making that possible. Ongoing improvements in the capability and capacity of IP networking equipment have brought us to the point that media facilities can confidently employ IP switching and routing technology to transport and switch real-time, high-quality video, audio, and metadata essence. In so doing, such facilities realize significantly greater flexibility and agility in handling these elements and in building new workflows. At the same time, they realize the attractive economic benefits that come with being able to use network interfaces on commercial off-the-shelf (COTS) Ethernet switches and COTS servers. Media facilities are embracing this approach in part because it allows them to establish and manage one common data center infrastructure rather than two separate facilities for SDI and IP switching/routing. By leveraging the agility and flexibility that IT systems offer, broadcasters both reduce costs and better position their businesses to compete with relative newcomers from the over-the-top (OTT) space. What’s more, early adopter implementations have demonstrated the viability and improved economics of this approach in comparison to conventional broadcast plant designs. 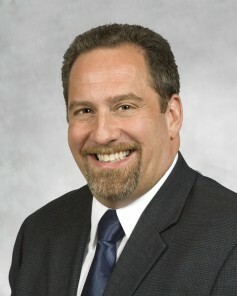 A handful of foundational standards documents is enabling the broadcast industry's advance into the IP realm: the SMPTE ST 2110 Professional Media Over Managed IP Networks standards suite, the SMPTE ST 2059 Broadcast Profile for IEEE 1588 Precision Time Protocol standards suite, and AMWA Network Media Open Specifications (NMOS). Taken together, these standards and specifications address the real-time nature of the industry’s most common applications and meet their stringent quality-of-service requirements. Given that these standards are redefining the way we handle professional-grade video, audio, and metadata essence, it’s well worth taking a closer look at them. In particular, we’ll examine the SMPTE ST 2110 standards suite, an expanding collection of documents that do much of the heavy lifting in enabling the all-IP migration. The SMPTE ST 2110 standards suite is built on the Video Services Forum (VSF) Technical Recommendation for Transport of Uncompressed Elementary Stream Media Over IP (TR-03), which the VSF contributed to the standards effort. Today, the SMPTE ST 2110 suite includes five standards: ST 2110-10, ST 2110-20, ST 2110-21, ST 2110-30, and SMPTE 2110-40. 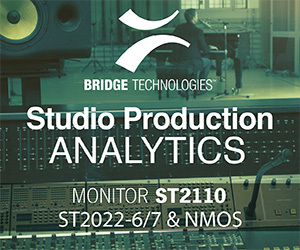 Through these documents, the ST 2110 standards suite specifies the carriage, synchronization, and description of separate elementary essence streams — audio, video, and ancillary data — over IP for real-time production, playout, and other professional media applications. These essence flows can be routed separately and brought together again at a shared destination. Because they are synchronized, they can be co-timed with one another while being handled independently. SMPTE ST 2110-10 (Professional Media Over Managed IP Networks: System Timing and Definitions) defines an extensible system of Real-Time Transport Protocol (RTP)-based essence streams referenced to a common reference clock in a manner that specifies their timing relationships. This part of the standard suite effectively defines the system timing model and the requirements common to all of the essence streams. SMPTE ST 2110-20 (Professional Media Over Managed IP Networks: Uncompressed Active Video) specifies the real-time RTP-based transport of uncompressed active video essence over IP networks. It also defines a Session Description Protocol (SDP)-based signaling method for the technical image metadata necessary to receive and interpret the stream. SMPTE ST 2110-21 (Professional Media Over Managed IP Networks: Traffic Shaping and Delivery Timing for Video) specifies a timing model for SMPTE ST 2110-20 video RTP streams as measured leaving the RTP sender. This standard also defines the sender SDP parameters that are used to signal the timing properties of such streams. SMPTE ST 2110-30 (Professional Media Over Managed IP Networks: PCM Digital Audio) specifies the real-time RTP-based transport of PCM digital audio streams over IP networks based on AES67. The document also defines an SDP-based signaling method for metadata necessary to receive and interpret the stream. SMPTE ST 2110-40 (Professional Media Over Managed IP Networks: SMPTE ST 291-1 Ancillary Data) maps ancillary data packets (that contains, for example, caption information, timestamps, active format description, dynamic range information) into RTP packets and enables those packets to be moved synchronously over IP networks along with associated video and audio essence streams. Although further additions to the SMPTE ST standards suite are forthcoming, the five aforementioned standards accomplish the vital task of ensuring that every element of the traditional SDI studio can be incorporated into an IP studio. By its nature, the standards suite also ensures that broadcast facilities can easily accommodate new and future formats and features, such as high dynamic range and 4K Ultra-HD. With more and more vendors offering mature solutions of All-IP, and we move from the early adopter to “fast follower” phase, we will see a lot more implementations and more complex solutions happening. The next step in standardization and specification is the refinement of the control plane documents so that we can realize fully the benefits of software-defined media processing and the parallel move of software virtualization using containers and microservices. The IP Showcase, now a regular feature at IBC and NAB Shows, provides the broadcast industry with an important forum for showcasing the products and technologies that are ushering in the new era of all-IP operations. Visitors to the IP Showcase can expect to see approximately 60 vendors (a new record!) working together to demonstrate all-IP solutions for applications including live studio production and broadcast, contribution, real-time content processing, playout, and primary distribution. SMPTE ST 2110 is a popular topic at exhibitor booths and in IP Showcase sessions, many of which have drawn standing-room-only crowds. As the crowds at IP Showcase events seem to realize, IP is the future of the broadcast industry. With the ST 2110 standards suite, SMPTE brings that IP-enabled future closer than ever. At the IBC2018 IP Showcase, Broadcast Bridge contributing editor, Tony Orme, will be mediating a panel discussion, Making ST2110 Work. The session will be Monday 17 September at 10:30am in Room E106/107. The sixty-minute session, with a fifty-minute panel discussion, mediated by Tony Orme, is followed by a ten-minute Q&A. This will be a highly technical debate focusing on the practical implementation of ST2110 and experiences gained by the panelists in their specialist fields of providing solutions and products. Aimed at engineers who need practical advice based on experience, the panelists will provide insight into their understanding of IP and how to make it work. More information about the IP Showcase is available at IBC2018 in room E106, or at ipshowcase.org.